Are you annoying with the daily jewelries because they are always messed up in the cabinets? 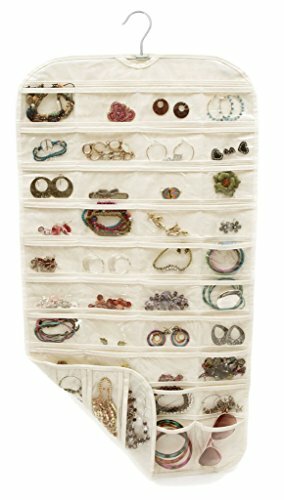 This Useful Hanging Jewelry Organizer has 80 Pockets! It will solve your problem easily! Do you always choose the same jewelry because you can’t find the rest? ¡ñSize: 18″ W*35″ H, Please Allow 0.3-1 inch error due to manual measurement.